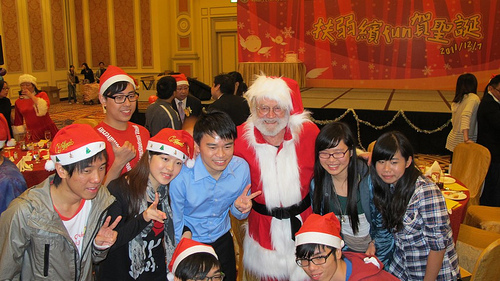 We had a very successful Christmas Party of over 600 people last Wednesday December 7th at the Venetian, with the special children, friends and their families. 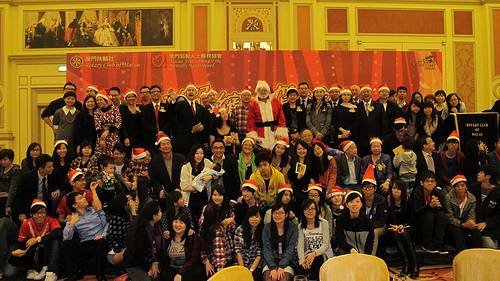 This year we also invited the Fu Hong Society, our usual partners the Mentally Handicapped Assoc. and our Rotaractors. The performances by the special children and friends were wonderful. There were singing, dancing and even Portuguese folk dancing. Our mood was brought to its climax when all Rotarians, Rotaractors and guests started to sing the Christmas carols and distribution of Christmas presents to children. We had a great support from the Venetian to make this party possible.